Imagine your first feature film, and not only is it with an award winning director, but it is based on a novel by a best selling author. 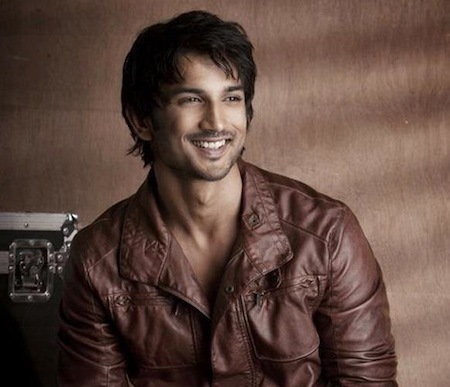 That is what happened to Sushant Singh Rajput and he is very excited. The young actor is starring as one of the leads in Abhishek Kapoor’s Kai Po Che, which based on Chetan Bhagat’s novel The 3 Mistakes of my Life. The film tells the story of best friends Ishaan, Omi and Govind – young, ambitious and restless, who are trying to make a mark in the India of the early 2000’s. In a country where cricket is religion, they hit upon a brilliant plan – to start a training academy that could produce India’s next sporting superstars! What follows is without doubt the greatest adventure of their lives, as they attempt to navigate the big hurdles in the path of fulfilling their dreams. 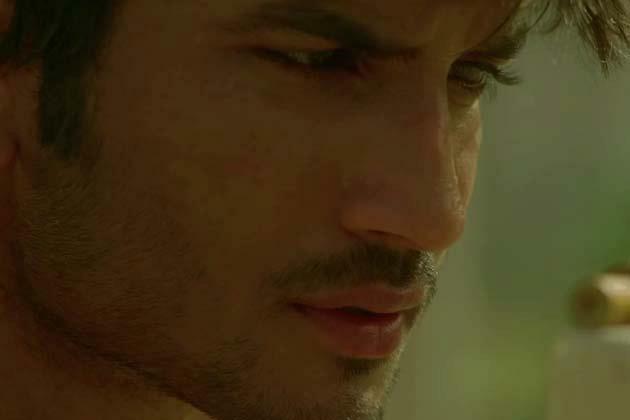 In the film Sushant plays Ishaan, the cricket player but let’s let him tell us more about that. We were able to catch the actor for a very quick and fun chat about the film. Check out what he told us about Kai Po Che! Not really. I think my first love is dancing so I started off in professional dancing and then I shifted to theater and that is how acting happened. First thought when you learned you were going to be in Kai Po Che? My character’s name is Ishaan and he is a professional cricketer. He is very ambitious but at the same time I think you could say he is very myopic. But he is also very honest and very pure. He has some very diametrically opposite things to him and there is a lot of contradiction there in this character, so it was really interesting to play Ishaan in the film. So you said he was a professional cricket player, so did you have to train a lot to do the cricket scenes? So if you need something to fall back on…not that you will…you have cricket! Tell us about working with Abhishek Kapoor. First I was very excited. Why? Because I had seen his first two films and I really loved them. Also at the time of the audition I knew he had won a National Award for his second film so I was very, very excited. But working with him, I tell you, he has got so much clarity as far as his script is concerned. He understands the feeling and everything in and of the scene. He is very, very, very passionate. That is so amazing. I think I am very lucky since I am working with him on my first film. I have learned a lot from him. I was just watching the behind the scenes and it seems as if you guys really became friends, would you say that to be true? I think something magical happened on the day we were auditioning together. There was something between us. It was not conscious. We were not acting for us, we were acting with each other – we were reacting to each other. We wanted to the scenes to be recognized and not to be on screen individually, do you get my point? We just wanted it be us reacting to each other to make the scene. I think that that camaraderie we had off screen got commuted to the chemistry you see on screen in the film. It was a wonderful experience working with both of them. They are very, very, very talented actors. The music of this film is amazing, what are your thoughts on it? Amit Trivedi is one of the finest we have in the industry. The lyrics were written by Swanand Kirkire… again one of the finest. I think for this film their whole team is superb. Including the actors in it. (Laughs) The cinematography by Anay Goswamy, the direction by Abhishek Kapoor, the music by Amit, these are fabulous, talented artists and all of them working together – once you have seen the film you will see what magic they have done. How encouraging is it that the trailer and promos have gotten such rave reviews? It is very exciting. Although the movie was made by one of the biggest productions houses in India – UTV and directed by Abhishek Kapoor who has a great reputation in the industry, even then, working with newcomers can be a risky thing. We were very apprehensive but we worked very hard for this film. It was shot with such heart and we are expecting that it should touch the heart. The response that we have seen on YouTube and Twitter is very exciting and very encouraging for us. We are all keeping our fingers crossed that people will come and watch the film and they will love it. Now I believe you have some exciting projects coming up what can you tell me about those? I have this film with Yash Raj and the film with Rajkumar Hirani so I have some exciting releases lined up this year. 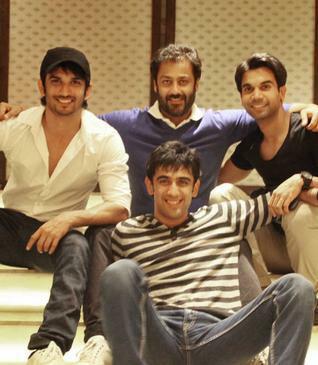 Kai Po Che hits theaters on February 22nd! 16 queries in 0.977 seconds.